Make a bold impact with a wide assortment of Wall Clusters and Splits! 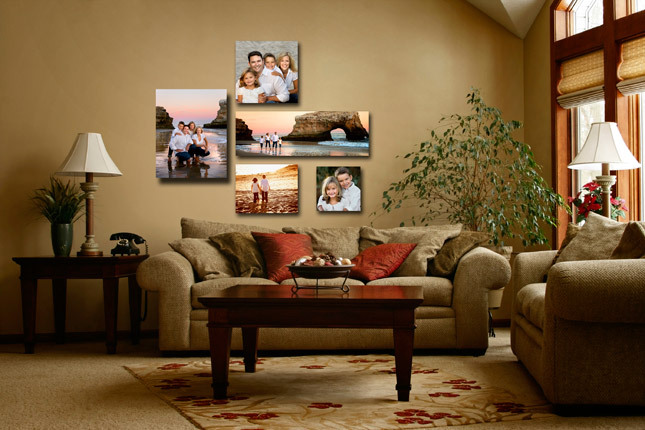 We will help you make it easy to create contemporary wall collages with designer groupings of Canvas Gallery Wraps, Metal Prints, and Thin Wraps™ that will impress everyone. Clusters and Splits can be assembled with multiple images, or use a single image across prints for a dramatic mosaic effect. Cluster packages are discounted substantially less than the individual mounted print prices, and are designed to be hung 1″ apart. Choose from a variety of dramatic combinations! All Cluster and Split Packages can be created from Canvas Gallery Wraps, Metal Prints, or Thin Wraps. The options we offer make it easy to layout beautiful wall displays using individual images on each print, or one image across multiple prints.